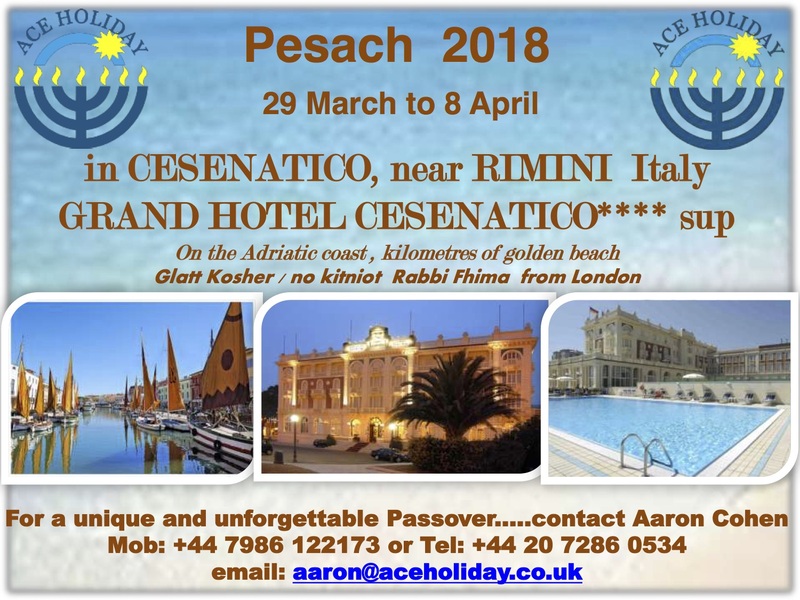 Walk through the Parsha: Passover on the Seafront in Italy! Passover on the Seafront in Italy! 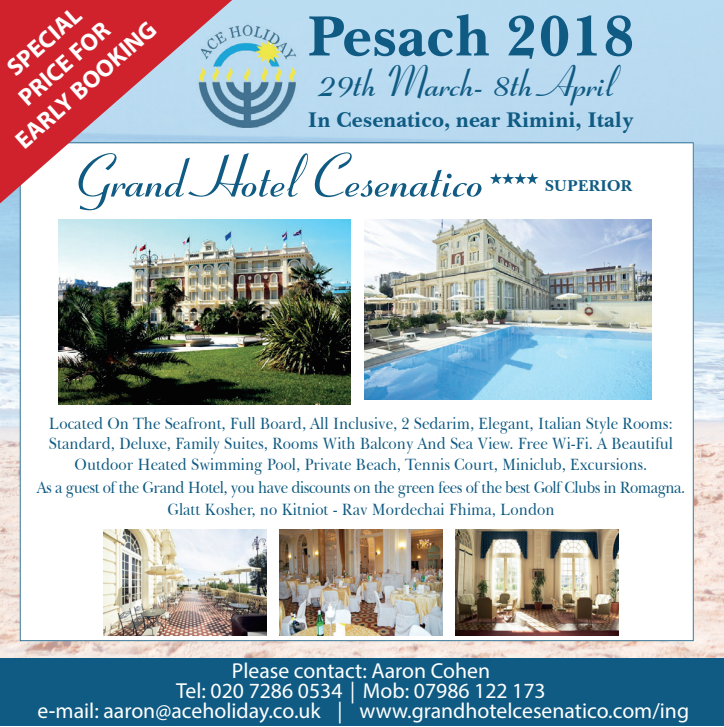 Spend a fabulous Pesach in Cesenatico, on the Adriatic coast near Rimini, Italy. 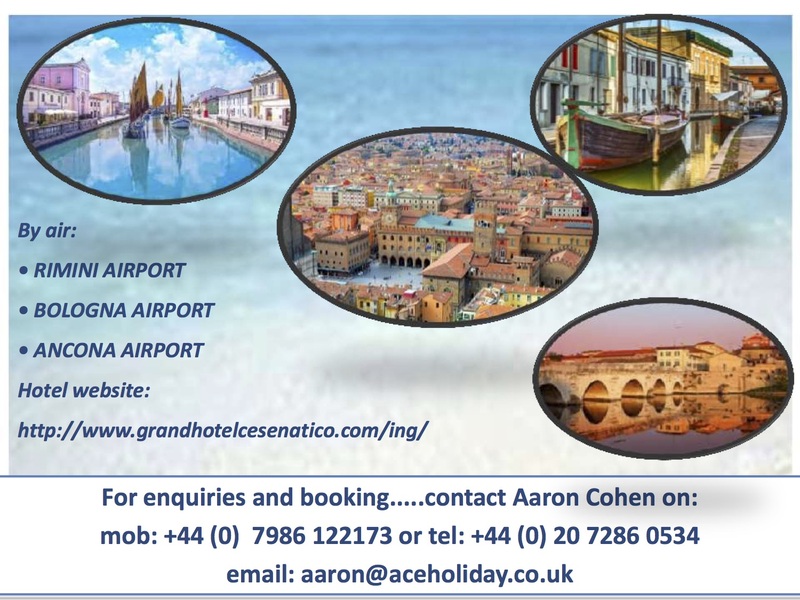 An elegant hotel located on the stunning Italian seashore.